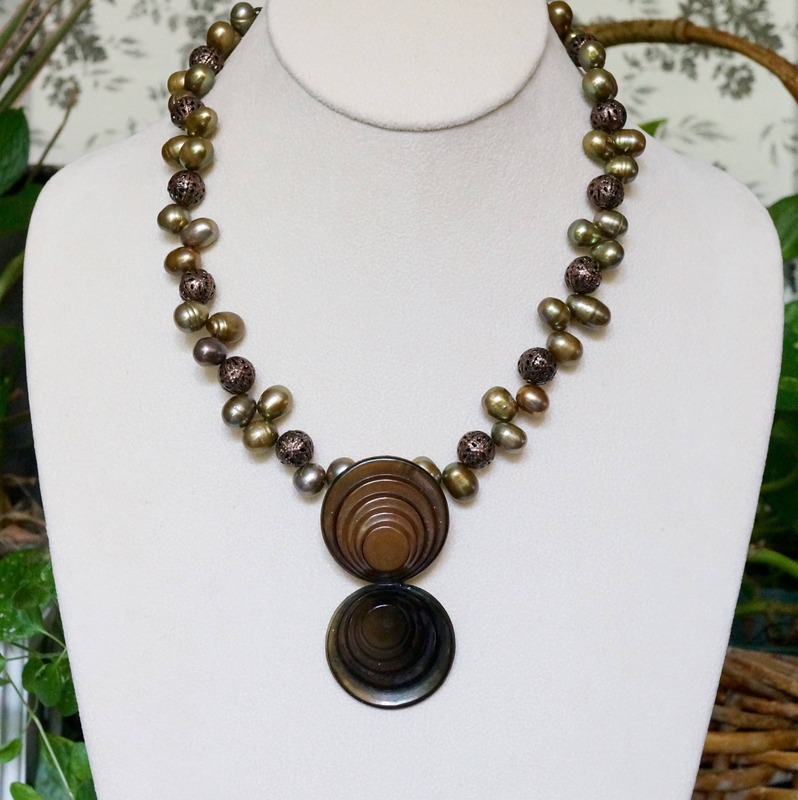 Here you have a great necklace made with a repurposed vintage thermoset brooch in brown colors, used as a pendant. It measures 2.5 inches by 1.25 inches. 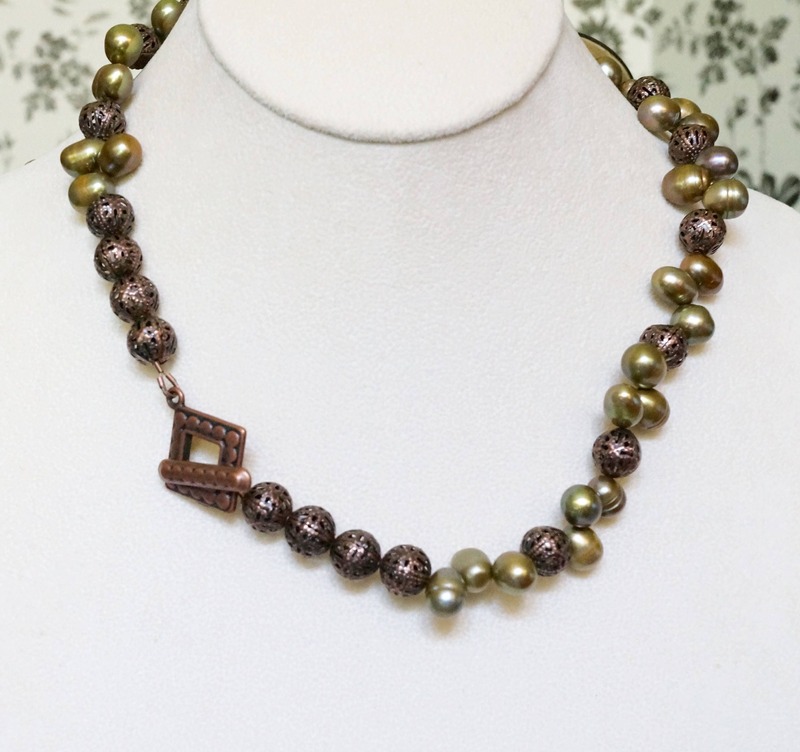 The necklace part is made with green top drilled freshwater pearls and copper filigree beads. 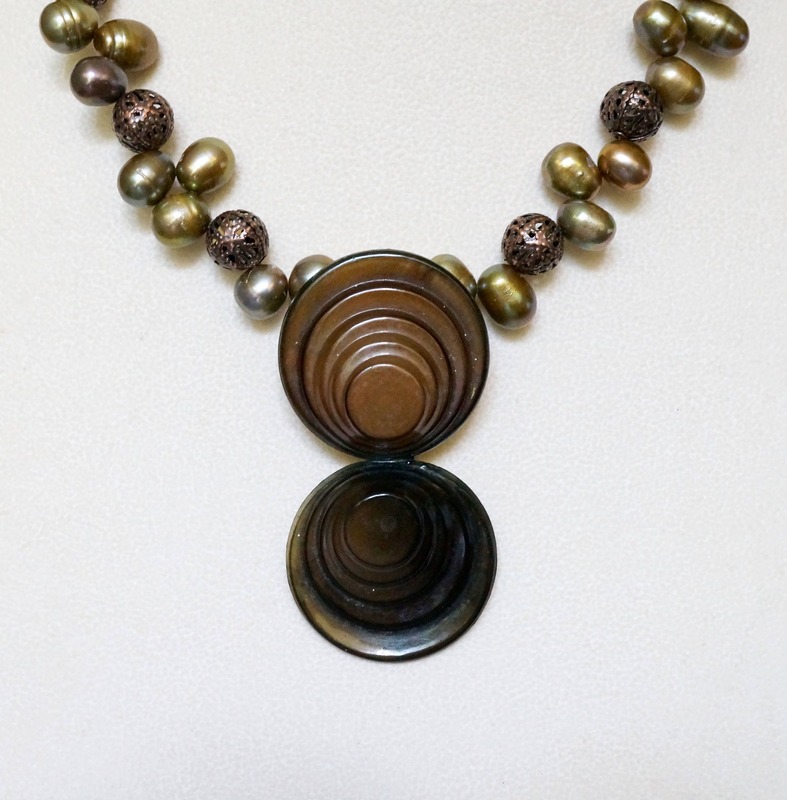 The necklace measures 19 inches, including the pendant. 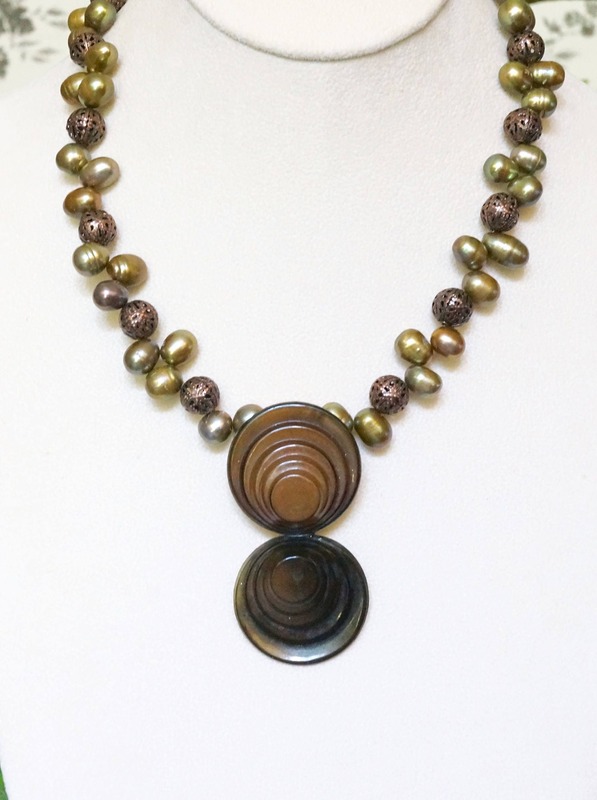 It all comes together with a copper color toggle clasp.